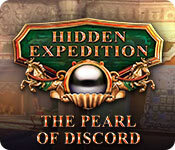 Hidden Expedition: The Pearl of Discord is rated 3.3 out of 5 by 10. Rated 5 out of 5 by denniann2 from great HO game this is a great HO game with a good hint system. it tells the story of marco polo and the device he built to keep venice from sinking. they had to destroy some houses to build and that family is still swearing vengeance on the people that hold the pearl. every thing is about the pearl. i played on custom. of course there will be another one. Rated 4 out of 5 by spythere from Once Upon a Time in the Catacombs of Venice ... Are you in for an athletic top performance? You'd better be fit for this breakneck adventure! Because you will fly a helicopter, fight against two ninjas, you will hold your breath under water, whilst freeing yourself from a cage, you'll leap with a parachute out of a plane, examine a room whilst dangling at a rope from the roof, you'll skid on a cable from the skyscraper, jump from a hoovercraft onto a starting “hydroplane” … and don't forget that you play as a woman! I bet, you never felt so invincible in your life, Of course, most of these stunts are concentrated in the demo part, afterwards it doesn't get any wilder. However the game held my interest, mostly due the marvellous sights. It's a picturesque tour to Fidji, Tokio and Venice, and Eipix skipped no touristic gimcrackery. We behold cherry blossoms and the blinking, flashing, neon jungle in Tokio, we find glass trinkets in Murano, we travel in gondolas and wear carneval masks in Venice. Only near the end, the lovely sights are replaced by Venice's "subfloor": sewers, secret laboratories and escape tunnels which could be everywhere. Yes you've read it right: Eipix foists catacombs under Venice on us, lol. We all know that Venice was built in a swamp, on tree trunks which were rammed deeply into the bog (and still hold after centuries). No way to build catacombs in that sandy slush. But have historical facts ever deterred Eipix from a crazy idea? As always, we have to settle with alternative facts - and with a story which is utter nonsense. Marco Polo was a merchant, not an inventor of complicated flood preventing devices. I had a good laugh about the Latin proverb, written on Marco's secretive "device": “Scientia non habet inimicum nisi ignorantem”. What means as much as: Science has no enemy except the ignorants. Ignorants, of all things! HOPs are again offered in great variety: interactive silhouettes, a told story where we find items fitting to capitalised words, silhouette riddles and not too many simple lists. In most HOPs we find a morphing object. Puzzles are fun to play and also in a big variety. I came upon some I've never seen before. Eipix made an effort to mimic different accents - and succeeded only partly. Mr. Tayal, the Fijian, or the Russian scientist are not bad. The Italians leave a bit to be desired. I'm sure there are many American actors with Italian roots. Why not engage one of those? The music is an nondescript, orchestral sauce which I turned off during the whole game. The story concludes in the Standard Edition. The bonus chapter is rather bland and redundant - I think, the SE is the better choice. If you want to know what you miss with the SE, read my review of the Collector's Edition. Rated 4 out of 5 by PATinPNS from MAROC POLO.. No, that's Another Game This is posted after completing the entire game. I own all of this series and this one will fit right along side of the others. I really enjoyed playing and can't wait to play it again. I found about everything in this game enjoyable and fun. Graphics were very well done. I especially liked the colors used. Nothing dark and dreary. The sound including voice overs were excellent. The effects and music went along with the action in the scene. My only deduction is for the mini games. I didn't like them at all. Some I couldn't figure out what to do and others were way beyond my patience level. I wish they would add secondary game to play instead of those minis. Perhaps if they would put a do-over feature I might like them better. As they are, I hate them! 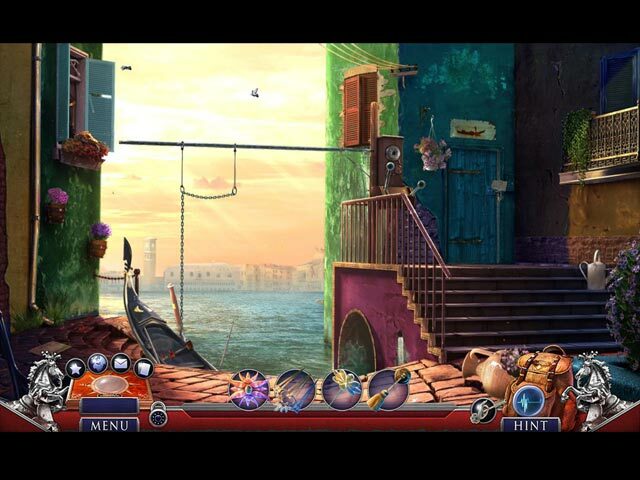 Hidden objects were really good. A lot of searching as they were well hidden. They were varied and interesting to complete. Others will go into the story in depth so I won't bore you with that. While not believable it was well put together and had the continuity that makes for a great story. There were no ghosts, witches or other things that go bump in the night which was such a change from most all the offerings lately. I'm one who really enjoys the fact cards. I love history and learning about things of the past and the cards, not only enhance the story, but teaches a bit along the way. All in all, mini games included, this is a really good game. Give the demo a shot and see if you don't think it's good too. Rated 3 out of 5 by Ruckus777 from Confusing, Run of the Mill Game I'll start with what I enjoyed. The voice acting was decent for the most part. The music was lovely, and overall the visuals were appealing to look at. The title screen with Marco Polo and someone from the Zambatti family, with playable dialogue if you clicked on them, was unique. Otherwise, nothing in the game caught my interest. The story is what most repelled me. It was not at all anything unique, trying to take a confusing thought process and make it into something cool and exciting. The Japanese elements thrown into the story felt bland and stereotypical of the secret agent genre they seemed to be trying for. The gameplay itself wasn't actually that unbearable. Though it did not bring anything new to the table, it was difficult enough to keep me engaged until the end of the demo. Overall I wouldn't recommend this game, but it could easily be someone else's cup of tea. Rated 3 out of 5 by pennmom36 from HIDDEN EXPEDITION GAMES AREN'T WHAT THEY USED TO BE I purchased the Collector's Edition of this game during a sale, hoping that the plot would thicken after the demo. ( I always wait for a bogo sale to purchase new games, and I finish playing them on the days that the Standard Versions are released. Sometimes my opinion changes from my review of the CE demo, sometimes for the worse, sometimes for the better. I usually don't give Standard Edition versions as many stars as the Collector's Edition versions, because I happen to enjoy the extra's, the Morphs, and the Collections etc. that they offer) Hidden Expedition games of late, have diminished in graphic quality, and storyline substance. This used to be an excellent series, because the games offered were from a completely different genre than most of the other games out there. They used to be one of a kind, action based, heart pounding adventures, always having to be one step ahead of the bad guys, and always saving the world from doom and gloom. Now they just seem average, they all seem to have the same plot, but with slightly different quests, or artifacts the game revolves around. No longer do you feel a sense of urgency with a dash of danger, or an "oh no, did the bad guys see me?" moment. It seems like lately, every HE game begins with Sam getting injured or captured (yet somehow he managed to get the promotion, and I got zilch, even though I'm the one responsible for solving all the cases without him!) All the games lately have me trusting the wrong, back stabbing, ruthless characters, and have you noticed that the person running the bad guy show, is always a woman? Here we go again, don't panic, because H.E.L.P is on it's way! Waradi Tayal has asked for H.E.L.P, after a valuable pearl is stolen from his Pearl Farm in Fiji. This is no ordinary pearl, this pearl allegedly belonged to the great Marco Polo, and is thought to hold extraordinary powers. Marco Polo entrusted the pearl to his close friend, Peter Tayal, before passing away, and the Tayal family has protected the Pearl for generations. The Tayal family knows that the Zambetti family will do anything to possess the pearls extraordinary powers, and everyone knows, the Zambetti's never forget, and they never forgive! First of all, I'd like to know how Peter knows the pearl has been stolen if the burglars have rigged the door and he hasn't found a way to get inside yet? Secondly, how did I (aka H.E.L.P. agent) travel all the way to Fiji once I received the distressed call, so fast that the thieves were still in the building? That must be the world's fastest helicopter! Thirdly, why is a pearl farmer a partner with the agency? He's obviously not an agent or he would have done his own agent dirty work, and I'm pretty confident that pearls are not a commodity used by the agency. Besides the absence of logic, I found this latest edition of Hidden Expedition to be a little slow moving, and at times, boring. I fear that this series may be in trouble, because they just aren't as epic as they once were. In the Collector's Edition there are the usual Achievements to earn, and the usual Fact Cards to collect, (cards to find that contain interesting facts about different cultures or items used.) 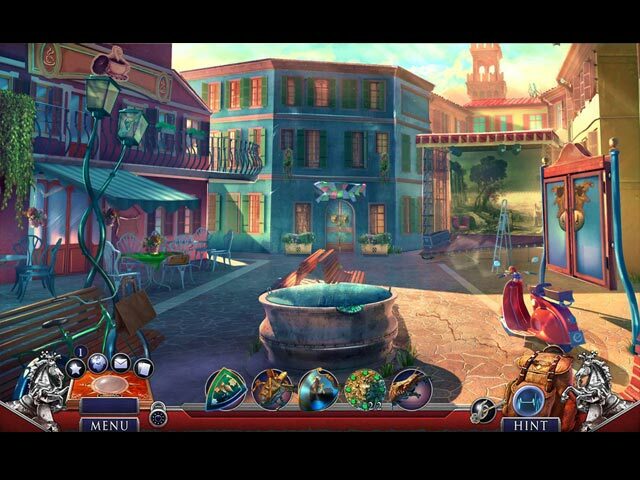 There is a Hidden Sign in each location scene, and a Morphing Object within most of the Hidden Object Scenes (in the Collector's Edition version.) 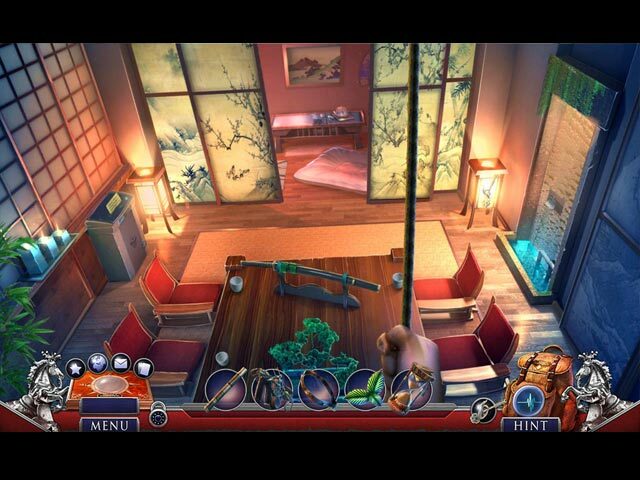 The Hidden Object Scenes are varied with just about every type imaginable. Listed Item finds, Keywords in Sentences, Interactive Silhouetted Shape finds, and Riddle Sketch finds that describe the item to find in a riddle form. The CE version has a Morphing Object to find in 12 of the HOP's, and has an icon showing the availability. The Mini Games are decent, some of which are new. Below are brief descriptions of some of the games you'll encounter during the demo: 1) Enter the code, using symbols as a clue. 2) Clear a path for the cable to plug into the left outlet, using directional arrows to move the blue switches that aren't blocked. 3) Use clues on a computer to find important year dates, and then find on a number grid. 4) Use a scale to measure the pearls and place them into the correct boxes. 5) Hover over the cross hairs which glow green if you are on the correct path. 6) Pull each parachute cord in the correct sequence shown. A couple of years ago, I researched some fun facts about the Hidden Expedition series because I wanted to find out what H.E.L.P stood for, the P was stumping me. Turns out that this league has had a few name changes over the years. In Hidden Expedition: Titanic, the league went by the name of H.E.A.L, which was the Hidden Expedition Adventure League. In Hidden Expedition: Everest, the league was simply the Hidden Expedition Club, and in Hidden Expedition: Devil's Triangle it was H.E.A.T which stood for Hidden Expedition Adventure Team. The newer games feature the name H.E.L.P which stands for Hidden Expedition League of Preservation (my guess originally, was protection) Here are the other games available in this series: Everest (no CE available/ 11-22-11) Titanic (no CE available/ 12-20-11) Amazon (no CE available/ 11-14-11) Dawn of Prosperity (8-27-15) Devils Triangle (no CE available/ 11-15-11) Midgard's End (6-2-16) The Crown of Solomon (7-3-14) The Eternal Emperor (9-1-16) The Fountain of Youth (1-14-16) The Lost Paradise (12-22-16) The Uncharted Islands (11-15-11) The Collector's Edition has 16 replayable Mini Games, 12 replayable Hidden Object Scenes with a Morphing Object available in most, 11 Videos, 9 Music Soundtracks, 8 Wallpapers, 8 Concept Art pictures, a Souvenir Room, 23 Achievements to earn, a built in Strategy Guide and a Bonus Chapter. I recommend playing this game, but the earlier games in the series are so much better, enjoy! Rated 2 out of 5 by Granny_Gruff from Please Stop Breaking Our Series! Explorer Marco Polo has a treasure he entrusts to a valued friend as he lays dying. Friend heads off to Figi to avoid the Zambetti family, who apparently have a grudge against Marco and Venice. Fast forward to today and the treasure is now a large black pearl - or perhaps it is inside the pearl. The pearl has been stolen and you are the H.E.L.P. agent sent to recover it. You arrive at the scene of the crime so fast, the thief is still around. Eventually they escape via your helicopter and you are sent a BOAT to help you chase them. And that's where Eipix lost me as far as the story goes. Think about it. H.E.L.P. can get an agent to the crime scene before the criminals leave, but sends a boat to chase a helicopter?!! Good Stuff: All the multi layered HOPs, mini-games, artwork, good characterizations, and bits of humor you've come to expect from this series. Bad Stuff: The story is not very convincing or engaging. Why is there a vendetta still being carried out by the Zambettis hundreds of years after Marco Polo's death? There’s some nonsense about a flood and nobles of the 14th century not happy about sleeping in tents, but surely that is just a smoke screen. I'll leave you to ponder the rest of the logic flaws on your own. You need to try the Demo for yourself. Rated 2 out of 5 by campingramps from Not one of their best At one time I was a huge Hidden Expedition fan owning most of the ones they have put out but this one has caused me to look harder at the series future offerings. I don't know what happened, either former developers moved on or company policy changed but this one is not worth the paper it is printed on. The story line is weak at best, the characters border on comical and the action is boring. Usually Hidden Expedition has a story and they follow this story in a logical order with HO's and mini games helpinng you along. This one is a hodge podge of jumping around back and forth and useless conversations thrown in to supposedly enhance the game. They are trying to get this pearl and when they finally do, they don't do with it what you would think. And this is just in the demo! Graphics are good which is par for Hidden Expedition but that is where the pro's end. Everything else is con. Sorry I can't say anything good about one of my favorite series but it isn't here in this one. If this review looks familiar that's because it is the same one I did for the CE edition meaning nothing changed and my feelings are the same. Play the demo, you might like it but I didn't. Not a recommendation from me. Have fun! Rated 1 out of 5 by roaming from Based on Demo Only This is yet another game wherein the seeming objective is to click the hint, do this, click the hint, go there, do that, etc., repeat ad infinitem. Adding to the pain are the blurry, indistinct graphics (particularly annoying in the HOS) and, as always, those very unhelpful phrases, "Now let me think," and "What could I possibly do here?" There's lots of the usual trekking back and forth to retrieve needed items found nowhere near where they'll be used. I dislike puzzles and mini-games and always skip them, but they seemed to involve multiple steps. Thankfully, there's a custom option to refill hints and skips in 15 seconds.